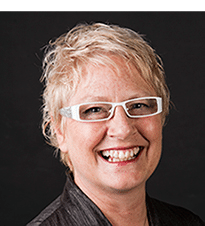 Our client came to us with a walk-through master closet that was jam-packed and still was not providing enough storage. Unfortunately, an L-shaped layout left dead space in the corner, and overall the storage was inefficient and unattractive. The doorway to the bedroom was moved and turned into a pocket door to allow us to run cabinetry down both sides of the closet eliminating the L-shape and wasted corner space. 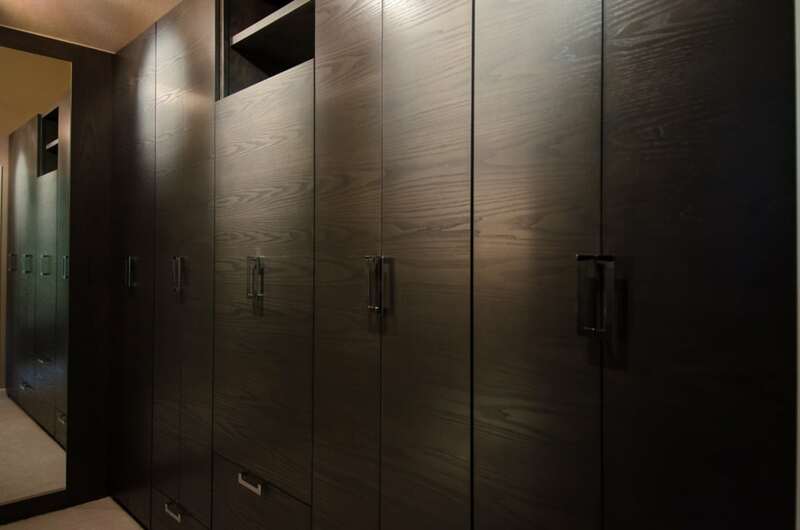 Pangaea designed the cabinetry, which was finished with a gray stained ash. 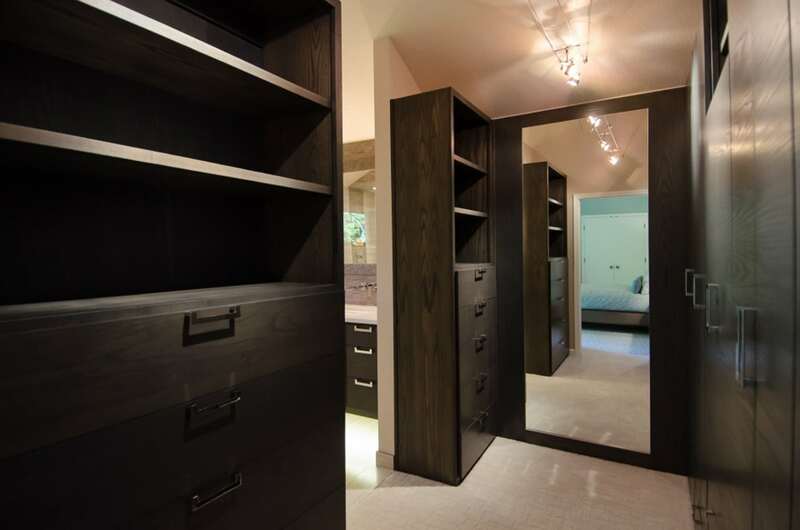 The grain was run horizontally, and matched along the length of the cabinetry for a seamless look. Pull-outs were used in unique ways, including a shoe caddy and built-in hamper, so no space was wasted. The closet was divided into “his” and “hers” sides, to give each person their own hanging space, built in dresser, and open shelving. A large mirror was framed in a matching grey stained ash against the back wall, for functionality, and to visually enlarge the room. 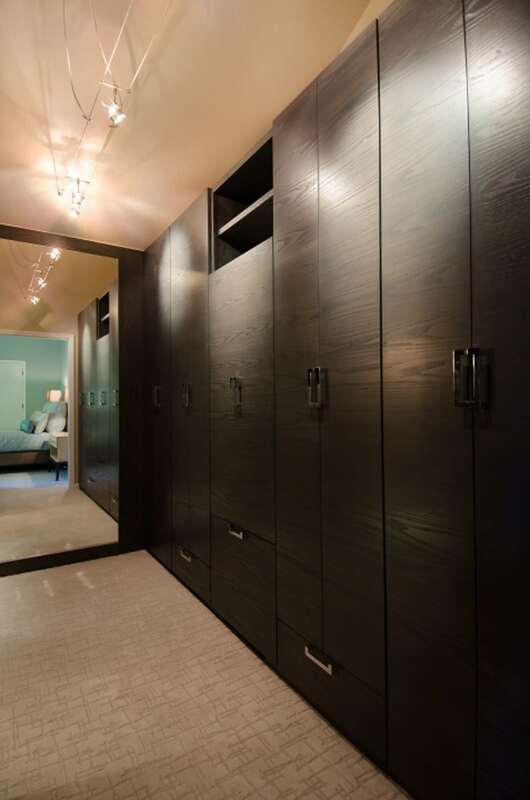 Cable lights provided flexible and even lighting into each closet space. 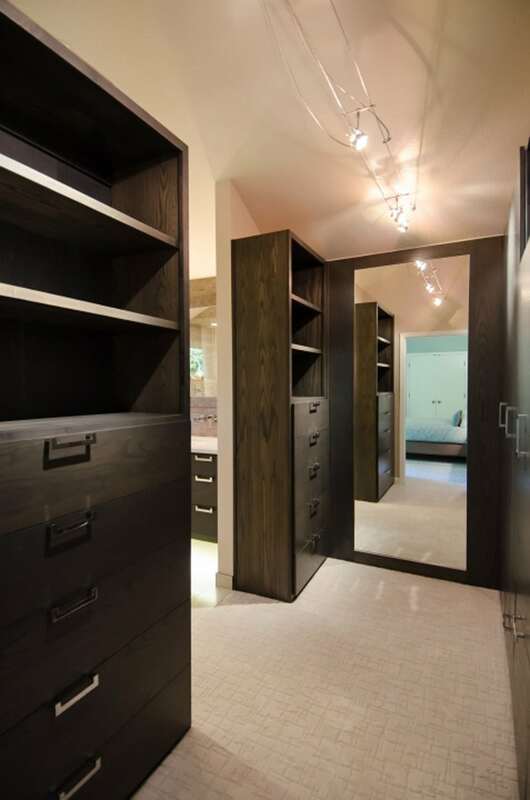 The entire design now allows a beautiful passage into the master bathroom, while being a functional dressing and storage area.